A miniature, cone shaped evergreen tree commonly known as the Dwarf Alberta Spruce. 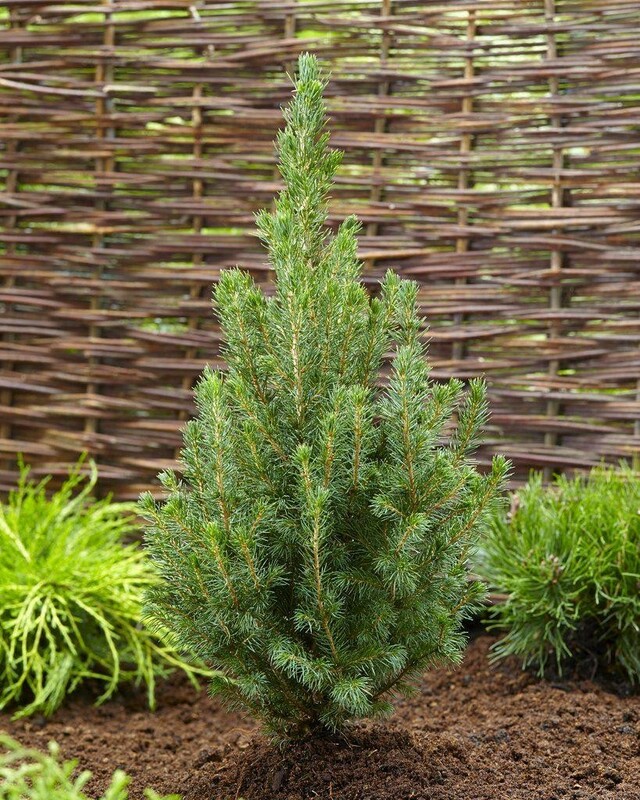 The very slow growing Dwarf Alberta Spruce grows 2 to 4 inches per year and reaches a mature height of 7 feet and width of 3 feet in 25 years. It likes full sun. The foliage is compact and bright green. The needles are short and tightly placed. Look great in patio planters, and also as seasonal decorations around the home as mini Christmas Trees. Supplied in approx 2-3 Litre containers.